Mad Max: Fury Road is good. It’s been surrounded by controversy for several reasons: some people complain it doesn’t have enough connection with the previous films starring Mel Gibson; some people complain the film isn’t really about Max; and some people complain that it is a feminist man-hating travesty. None of that matters because the film is simply good in its own right. 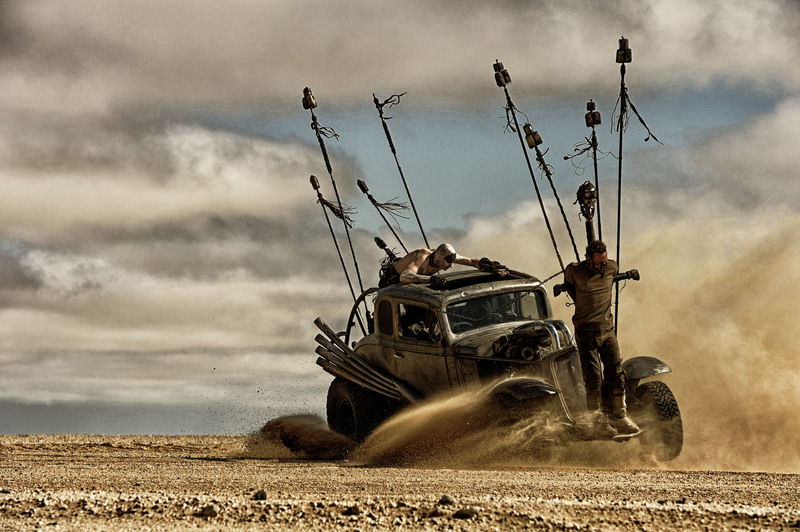 Fury Road sees Australia’s post-apocalyptic wasteland advanced in its decay since we last saw it in the mid-1980s. Civilization has crumbled and the remnants of mankind have grouped into harsh tribal societies. Max (now played by a monosyllabic Tom Hardy), still wondering the wasteland alone, is captured by one such tribe called the War Boys and used as a “blood bag” – a captive blood donor to keep the ailing War Boys at their fighting best. When one of the War Boys’ top agents, Imperator Furiosa (Charlize Theron), flees the tribe – bringing along five of tribe leader Immortan Joe’s prize breeders hidden inside an armored truck called the War Rig – the War Boys give chase and bring Max along for the ride. Max and Furiosa eventually team up and bring the fight to their common enemy. The loudest voices concerning Fury Road have been the ones laying plaudits at its feet for its positive inclusion of varied female characters and those who are basically angered by those same varied female characters. For what it’s worth, I think the film treats men and women well: both sexes are reduced to indulging primal instincts to survive; both sexes represent a variety of noble and ignoble traits; both sexes have resorted to killing anything that moves or looks at them in a way they don’t like; and both sexes have learnt to despise their opposites or to rise above their differences in love. It’s almost as though Fury Road considers both men and women to be human and flawed, which is something I can’t find fault with. Those who are angered by the film’s representation of the sexes point to the warmongering of the male-led tribes and their comparison with the nurturing female tribe as evidence that the film is biased against men. But I fear they are letting their own biases and assumed gender roles cloud their judgement. The female tribe is no less violent than the male tribes, and no less hopeless: having forsaken men, their only possible legacy in a hostile wasteland is the slim chance of growing withering little plants, which is as sad as Immortan Joe’s determination to father children from a harem of forced breeders. The female tribe is not a peaceful, nurturing group of women, representative of the best of womankind. Instead, it is has become as corrupt as the male tribes, and as doomed to extinction by their own willfulness. When the subject of their violence comes up, one of the other female characters questions them thus: “I thought you were above all that”. The response is nothing more than a cynical squint. Having said all that, getting hung up on where Fury Road falls on the feminist-to-patriachal scale is to miss the point. Fury Road is not primarily about gender politics, in the same way that it isn’t primarily about vehicular carnage. Fury Road is concerned with three connected themes that ought to be universal in their appeal. What can be a weakness when exploited by others can be a strength when offered up voluntarily and sacrificially. The first important theme of Fury Road is empathy. The wasteland is a place devoid of trust and altruism. Everyone is out only for themselves. In such a place, empathy is exceedingly rare, but Max and Furiosa must recover some small part of it if they are to survive. It helps, therefore, that Max is put into almost exactly the same position as Joe’s harem of breeders. Max is shackled and muzzled, and drained of his life-giving blood for the benefit of a bunch of men. In the same way, Joe’s breeders have been confined and kept quiet, and used for their life-giving fertility for the benefit of a bunch of men. At about the same time Max frees himself and removes his muzzle, the women liberated by Furiosa emerge from the confines of the War Rig and begin to speak their minds. The symbolic link between Max and the women at the centre of the story breeds empathy, enabling them to overcome their natural distrust of each other. Elsewhere, the total lack of empathy, substituted poorly with tribal loyalty, is the undoing of every other character. 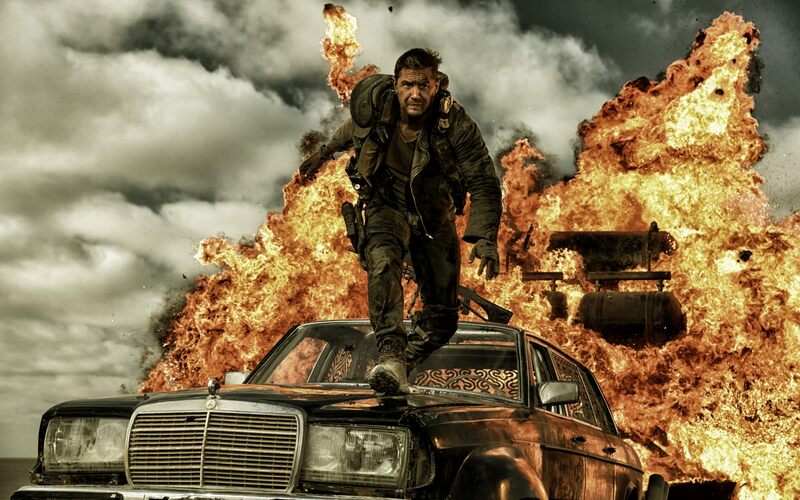 The second important theme of Fury Road is turning weaknesses into strengths. Fertility and pregnancy are sometimes seen traditionally as weaknesses, particularly from a patriarchal point of view. Women, in their frailty, must be hidden away or controlled by men who see their fertility as a valuable property. In the same way, Max’s O-type blood makes him a valuable donor and a ripe victim for the War Boys. But these characteristics are not portrayed as perpetual weaknesses, but are subverted and presented as strengths when used with agency. The escaped women use their value as breeders to protect Max and Furiosa from Joe’s assaults, and Max volunteers his blood to help Furiosa survive a vicious wound. What can be a weakness when exploited by others can be a strength when offered up voluntarily and sacrificially. Joe’s misunderstanding of true strength makes him weak. The third important theme of Fury Road is finding hope in hopelessness. The male-led tribes have found hope in their control of the world’s remaining resources and in their zealous pursuit of demagoguery. The female tribe finds vanishing hope in a bag of seeds. Furiosa, who attempts to lead the women to a promised land called “the green place” is left hopeless when she discovers only a poisoned swamp. Max, meanwhile, has abandoned all hope beyond pure feral survival. But at the crucial moment, Max helps Furiosa to recover a sense of hope: not for herself but for others. They form a plan to retake Joe’s tribal capital and share its resources with everyone peacefully. In a world where selfishness has destroyed hope, the only hope possible is for others – a hope only achievable by renouncing selfishness. Maybe it is a feminist film, maybe it isn’t – I don’t care. So Fury Road is good. It’s impeccably well produced, always looking and sounding fantastic. The action is filmed and shown clearly, so you can always see and appreciate what’s happening. Hardy seems to lack the wiry tension and cunning of Gibson as Max, but the rest of the cast performs well, especially Theron as Furiosa. The action is thrilling and the dialogue is short and to-the-point. But more than this, Fury Road is surprisingly strong thematically. Through empathy and true strength, Fury Road’s heroes create hope for the wasteland, and pursue it even at great cost to themselves. Maybe it is a feminist film, maybe it isn’t – I don’t care. Because over the din of car crashes and gunfire, Fury Road murmurs a message of selfless love, as true for women as it is for men, and the best safeguard possible against the wasteland.